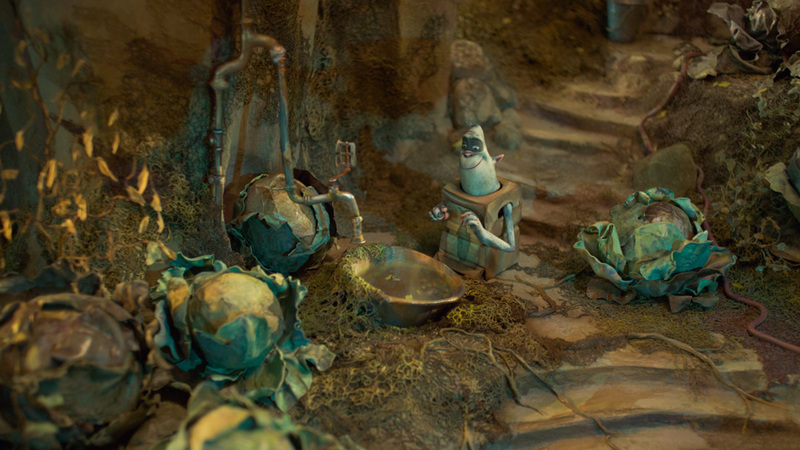 LAIKA sculpts two contrasting worlds to explore notions of family and identity in The Boxtrolls. 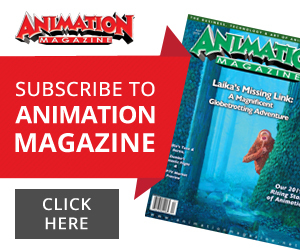 Since its evolution from the pioneering Will Vinton Studios back in 2005, Portland, Oregon-based LAIKA has continued and improved upon stop-motion animation traditions. 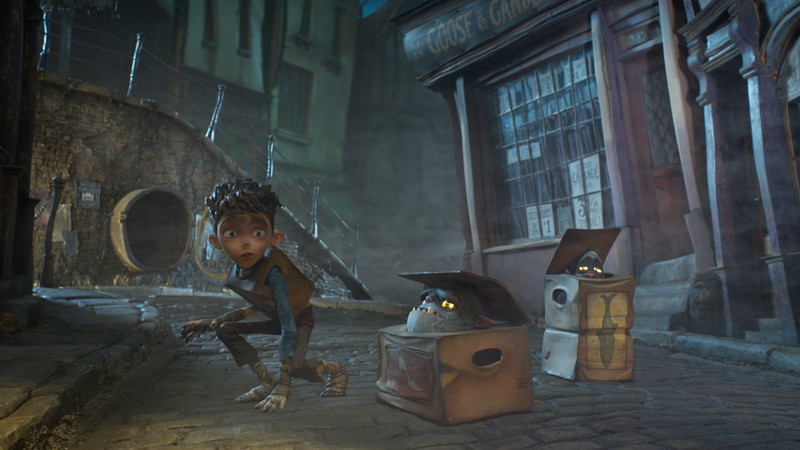 Despite having only two feature titles under its belt, the enterprising studio has made a global name for itself with acclaimed films Coraline (2009) and ParaNorman (2012), combining hand-crafted artistry with unusual, often darkly tinged storylines. 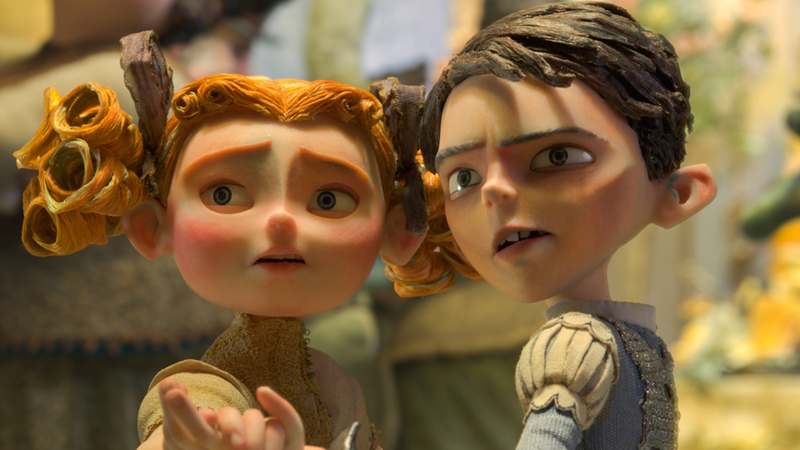 Its third feature, The Boxtrolls, builds on LAIKA’s ambitions to innovate while celebrating the tactile appeal of the technique. 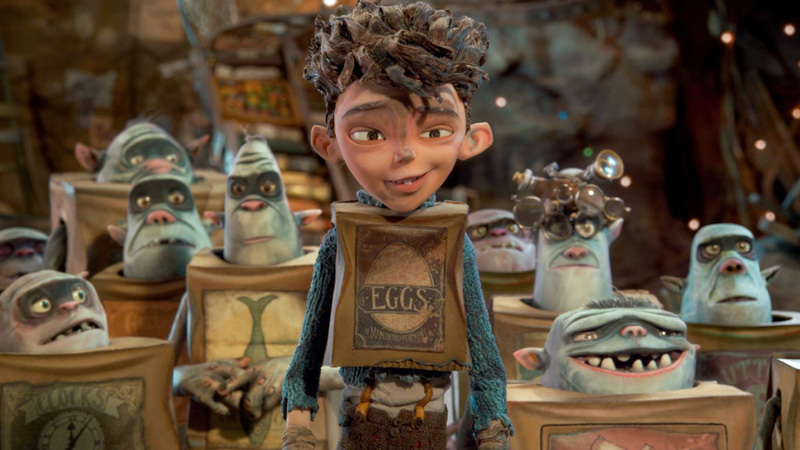 Directed by Anthony Stacchi (Open Season) and cartoonist Graham Annable, the neo-Victorian adventure centers on an orphaned boy named Eggs (Game of Thrones‘ Isaac Hempstead-Wright) who is raised by the industrious, misunderstood and greatly feared Boxtrolls. 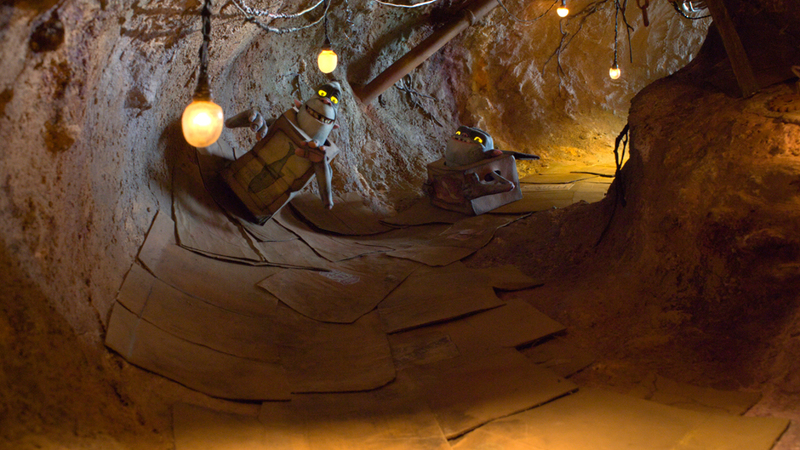 Eggs grows up with the creatures in a mechanized underground cavern, emerging at night to gather useful trinkets from the streets of Cheesebridge. 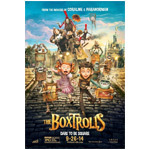 Meanwhile, the social-climbing exterminator Archibald Snatcher (Ben Kingsley), does everything he can to convince the townsfolk of the threat posed by the Boxtrolls, and strikes a bargain to rid the city of them and earn a place among the cheese-loving elite. 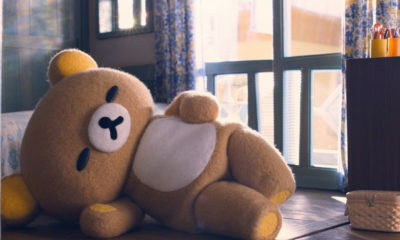 Eggs must confront his own fears and the upper worlders’ biases to save his adoptive family — and the town — from Snatcher’s plans. Along the way, Eggs is helped by Winnie (Elle Fanning), daughter of the oblivious and haughty Lord Portley Rind (Jared Harris). 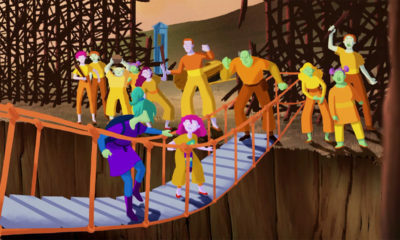 Snatcher’s Red Hat accomplices are voiced by comedy talents Richard Ayoade, Nick Frost and Tracy Morgan; Toni Colette and Simon Pegg also lend star power to the cast. One of the biggest hurdles of production was distilling a solid, single-film story from the source material: Alan Snow’s 2005 fantasy novel Here Be Monsters! 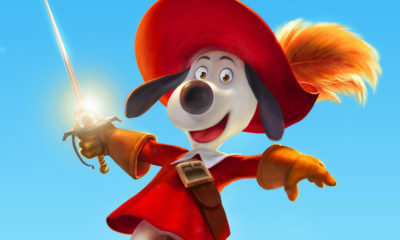 Studio CEO and animation lead Travis Knight originally optioned the book because of its original, expansive stories involving strange creatures. But the directors and screenwriters realized early on that it would be impossible to adapt whole-hat, rat pirates and cabbageheads and all. Key to the unfurling story is the concept of identity. 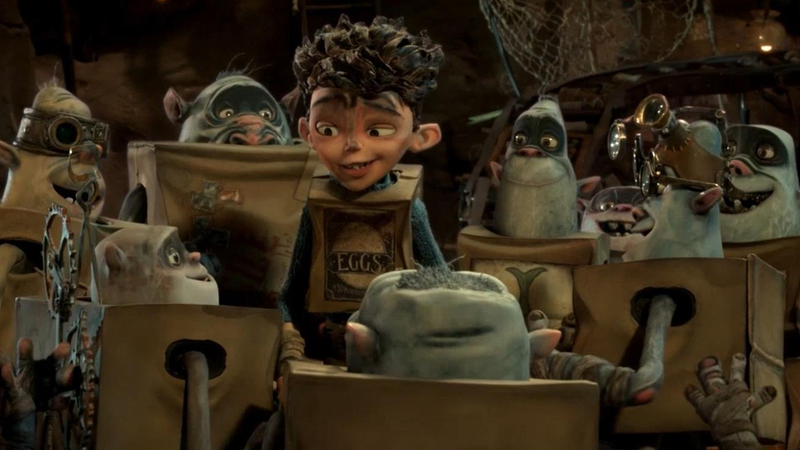 Our hero, Eggs, must confront the fact that though he was raised by Boxtrolls he is fundamentally a “normal boy,” adapting his manners and movement to fit in enough in the above-ground world to find a way to help his adoptive family. 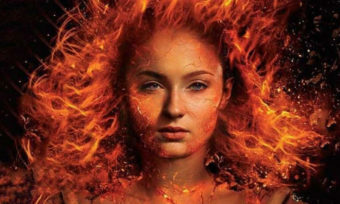 Likewise, the film’s villain is caught up in the desire to be something he was never meant to be — desperate to gain entry to the town’s elite, even though he’s allergic to its culinary status symbol. The baddy, Snatcher, arguably steals the show. 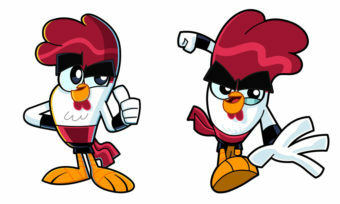 Not only does his character physically undergo a number of challenging transformations, but himself strives to reinvent his personality to deceive the people of Cheesebridge. 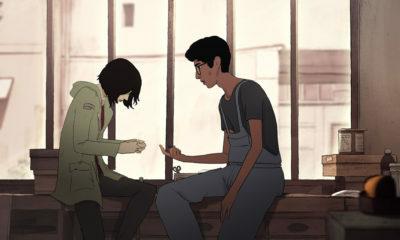 “An animated performance is a collaboration that spans time and distance … a lot of choices the animator makes are rooted in what the actor does in the recording studio,” says Knight. 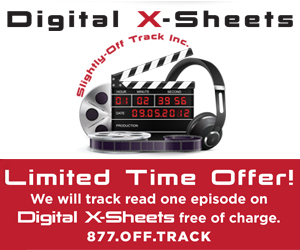 “When Sir Ben [Kingsley] showed up to record, he had his own fully-formed idea, and from the first utterances out of his mouth it was absolutely perfect. He knew who Snatcher was. He’s funny, he’s scary, he wins degrees of our empathy and our sympathy because of how mistreated by the aristocrats of the town. 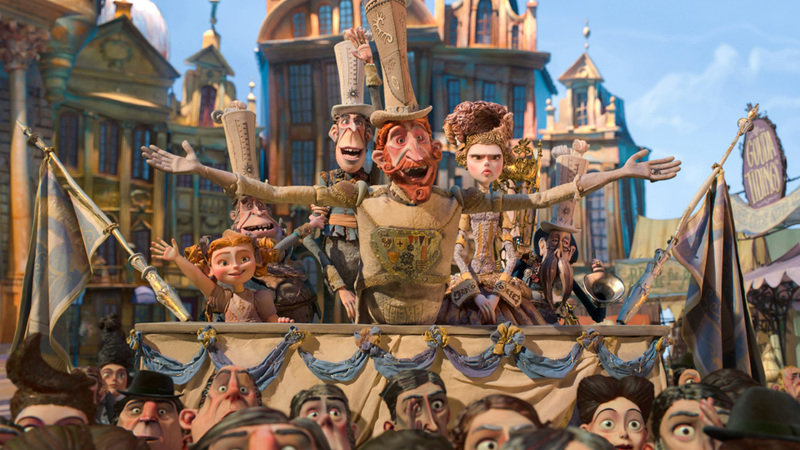 In addition to opening up welcomed moments of humor in the tense tale (Boxtrolls makes an effort at real danger in among feel-good times and sly comedic winks), bringing in the former background characters offered another angle on the theme of identity and self-doubt that permeates the story. 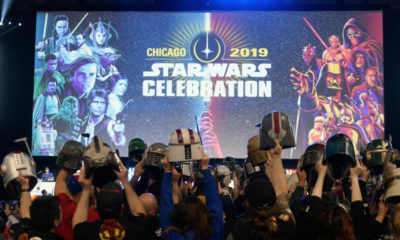 “In a movie where the hero and villain didn’t really know where they fit in, it made sense to have henchmen that didn’t realize they’re forking for the bad guy,” Stacchi sums ups. This outing also saw ambitious cinematography; an unheard of challenge for stop-motion artists. 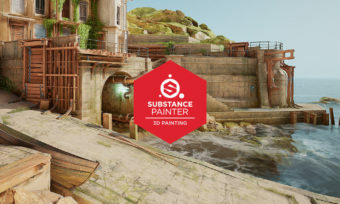 Director of photography John Ashley combined his 3-D shooting and award-winning animation experience into play, working closely with storyboarders to create an immersive, action-packed experience. 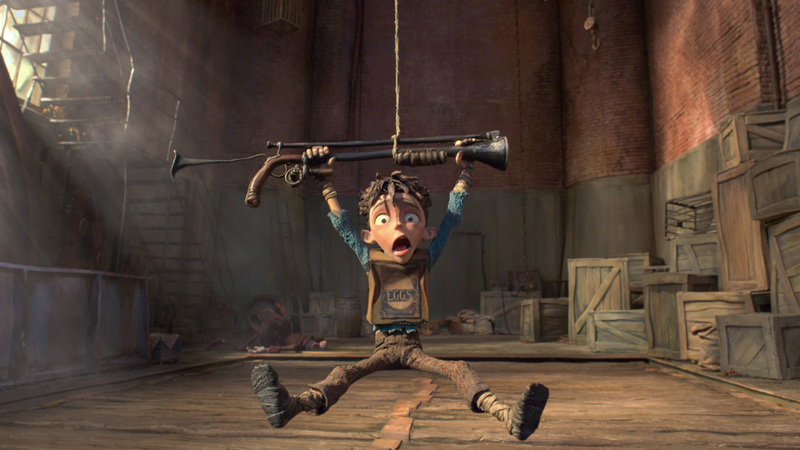 LAIKA also put more faith behind CG pre-visualization programs and digital set extensions to expand the world of Boxtrolls. 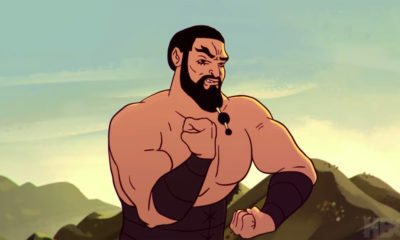 “On both ends of the spectrum, stop motion struggles a bit; big action sequences and really small, subtle, refined performances where you make a character really feel like it’s alive,” says Knight. Major practical challengers include a swarming ballroom party sequence — which required special rigging and fabric construction, as well as an unprecedented number of rapid prototyping for secondary character faces — and Snatcher’s nefarious Mecha Drill machine. 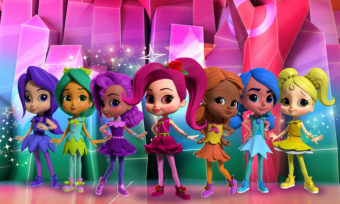 After toying with the idea of going CG for the massive puppet / prop / set, Knight says the team decided that treating it like a normal puppet (albeit with a motion-control rig) and benefitting from the same stage lighting as the rest of the scene elements outweighed concerns about crafting the nearly five-foot-high beast. Knight himself was tasked with a couple of very emotional sequences, addressing the subtle end of the spectrum. 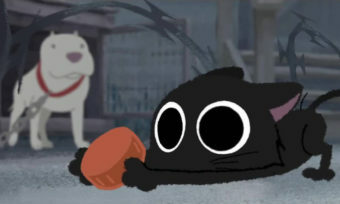 He personally tackled Winnie meeting Eggs — and later Snatcher — early on in the production, establishing their characterization. 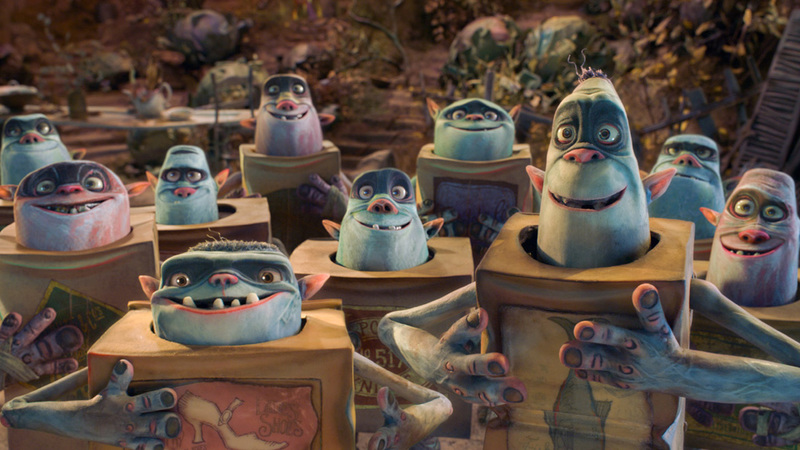 Although the technical advances made by LAIKA for their third feature are astounding, what really sticks upon viewing The Boxtrolls is how fluidly, expertly the characters come to life. Snatcher, especially, should go down in animation history as one of the most intriguing caricatures in filmdom, with his constant waffling between identities and how expertly and minutely this is attained with such a back-breaking technique. The Oregonian crew has once again delivered an absorbing, artistic and unique variation on the typical Stateside animated fare. 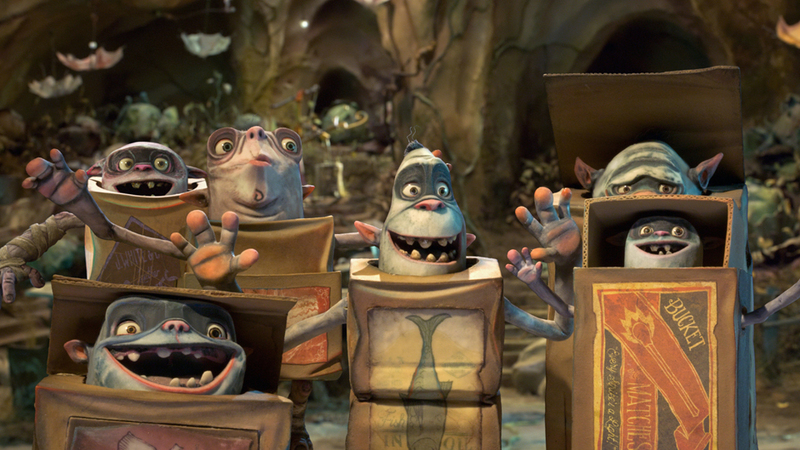 Focus Features releases The Boxtrolls in U.S. theaters September 26.